The building was designed to provide a number of public services for the people of South Sligo. As the building is run in a collaborative way, disparate opening hours mean that the spaces are alive from morning to night. The library is separated from the entrance hall by a glazed screen; one can be seen from the other and form part of a spatial continuum under the common roof. However, the library space was designed to be a distinctive and functionally appropriate space in itself and also to be the place where the form of the overall building is most clearly expressed. The roof is high with several roof-lights (providing additional light in an environment which frequently experiences grey skies) and slopes down from the street end to a valley and rises again to the rear (where a store-room, judge's chamber and staff facilities are located). The desk and office are located at the centre of the plan directly opposite the automated entrance doors with access to reading and ICT zones on either side. The furniture incorporates bright vibrant colours and all shelving is just 4 shelves high and is moveable to allow for both accessibility and flexibility. An extensive Audio Visual System allows for the automatic drop of a large screen which receives its images from a projector fixed to the ceiling. A state of the art sound system is installed should music or commentary be needed for any event. At the heart of the library is an area intended to attract and encourage younger children and their parents/guardians to use the library. This area is bright and airy and at fit out stage the library commissioned a local artist to enhance this with colourful images taken from a number of children's books and painted on the walls. The effect was an enhanced sense of inclusion and a warm and welcoming ambience. 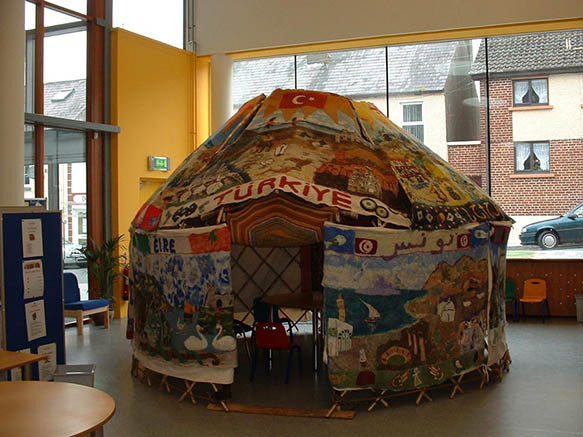 This unique space also incorporates bright child friendly furniture and a wet area which facilitates art and craft activity. 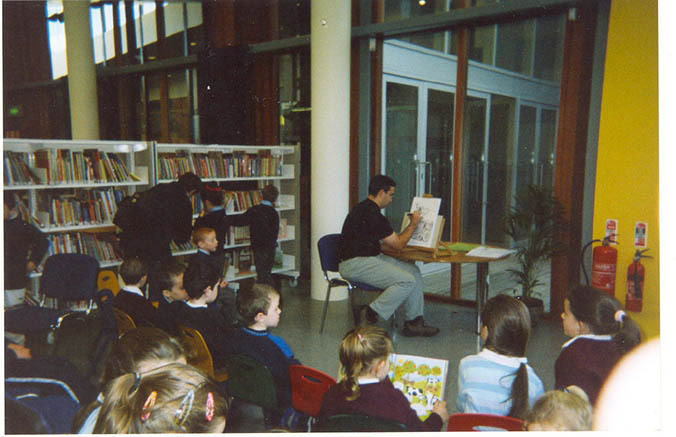 From the outset the local community were actively involved in the library. The early months saw the setting up of a book club for members of the Tubbercurry Active Retirement Association. This twelve-member group continue to meet on a monthly basis. 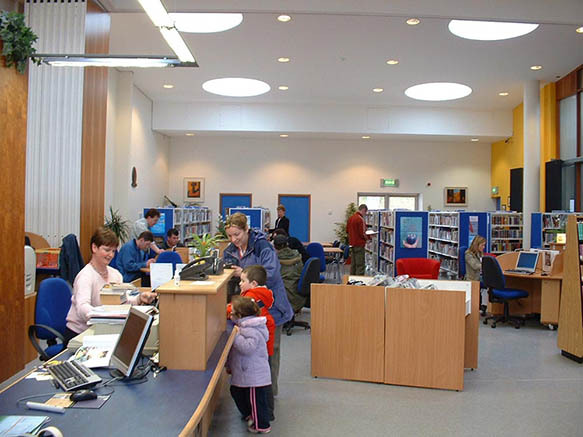 The library has been instrumental in facilitating the setting up of a number of other groups in the community such as the Tubbercurry Writers Group, the Tubbercurry Bookworms Reading Group and the library Chess and Draughts Club for children. 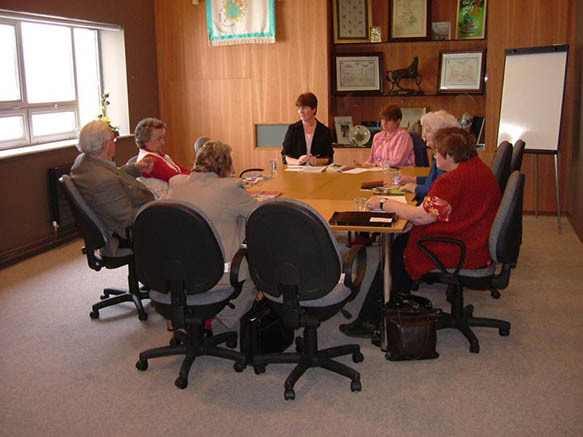 A number of other community groups such as the Tubbercurry Women's Group and the Tubbercurry Historical Society meet regularly in the library. 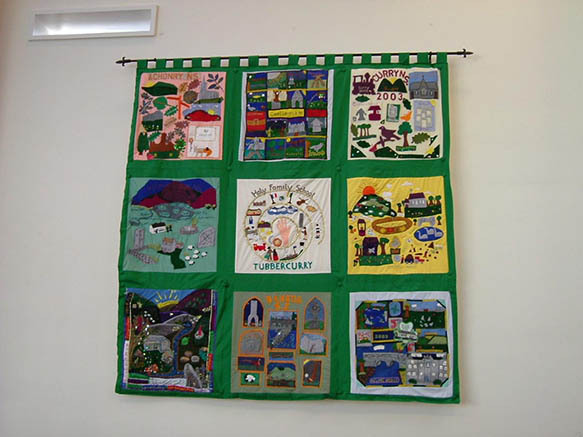 The library is now the sole venue in County Sligo for a number of different exhibitions and collections and also serves as a venue for many workshops, presentations and lectures of interest to local people.